ABOUT YOU’s developer teams are excited to attend and engage in the code.talks — Germany’s largest developer conference — which takes place on October 18th and 19th in Hamburg. With more than 1.600 attendees, we are looking forward to experience two days of exciting talks, insightful discussions and networking. More than 130 speakers will present and debate web-development related topics, ranging from Architecture and Artificial Intelligence to BI, IT Security, UI/UX Design, Virtual reality and many more. Visitors will furthermore have the chance to get to know ABOUT YOU’s new business unit — the ABOUT YOU CLOUD and its products, including our very own E-Commerce Backend system BACKBONE. While ABOUT YOU CTO Sebastian Betz will join a panel discussion about the qualities of a Tech entrepreneur, several other ABOUT YOU speaker have also prepared some interesting presentations. Panel discussion: The future of mobile apps — are app stores a thing of the past? Panel discussion: Big Data and IoT: For a better future or infinite Surveillance? 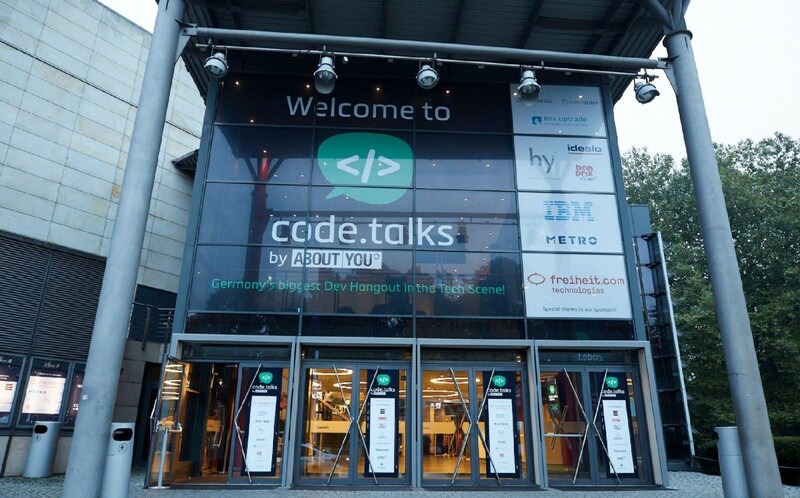 Visit https://www.codetalks.de for more information and the full schedule.